Lying just south of the equator, the United Republic of Tanzania is East Africa’s largest country. It is noted for its national parks, tradition of free elections, cultural diversity, peacefulness, big game animals, and the island of Zanzibar. Formed in 1964 by the union of Tanganyika and Zanzibar, Tanzania covers approximately 365,000 square miles, roughly twice the size of the state of California. With an estimated population of 55.57 million in 2015, Tanzania is home to more than 120 distinct tribes, the most famous of which is the Masaai. Tanzania’s population has been estimated to consist of roughly ⅓ each of Muslim, Christian, and traditional religions on the mainland while Zanzibar’s population is 99% Muslim. Swahili and English are the national languages of Tanzania, though each of the different tribes also has its own language. Swahili is used as the language of instruction in primary schools and English is used as the language of instruction in secondary and higher levels of education. Tanzania is one of the poorest countries in the world. 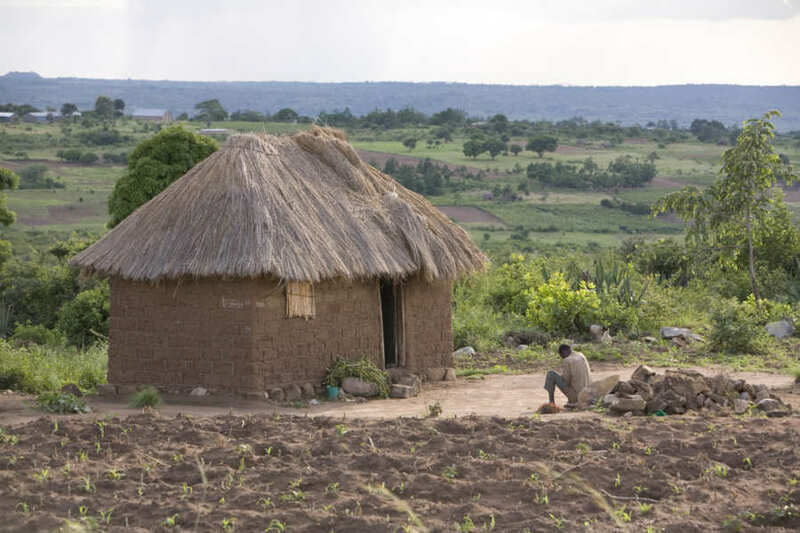 Average yearly income is approximately $900 and 67.9% of the population lives below the poverty line (this number rises to 80% in rural areas). Over 46% of the population lives in extreme poverty defined as living on less than $1.90 per day. Tanzanians have a life expectancy of 66.7 years. There is a high child mortality rate with nearly six of every 100 children dying before age five due in large part to malaria, diarrhea, pneumonia, and AIDS. HIV/AIDS remains the leading cause of death for adults as well (17%). 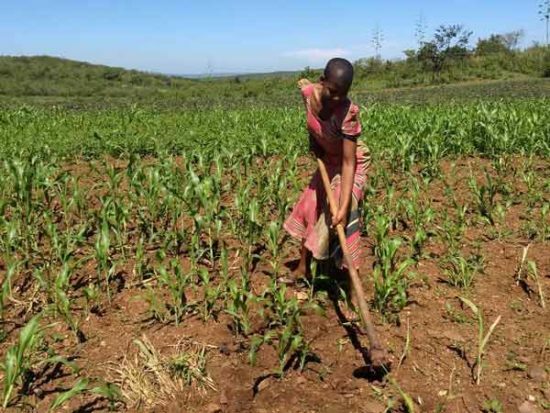 The economy is strongly agrarian with 67% of the population working in farming. Other significant contributors to the economy include tourism, light consumer goods, and natural resources such as gold and natural gas. Ecologically, Tanzania is very diverse. The northeast of the country is mountainous and includes Africa’s highest mountain, Mount Kilimanjaro. The eastern coast of the country borders the Indian Ocean and is hot and humid year round. In the north and west, Tanzania borders Africa’s Great Lakes. Lake Victoria is Africa’s largest lake and Lake Tanganyika is Africa’s deepest lake. The central part of the country is characterized by the large plateau with plains and farmland including the Serengeti. Southern Tanzania is known for its high hills and cooler climate. Tanzania’s rainy season is typically from March-May with a shorter rainy period in late October to early December. 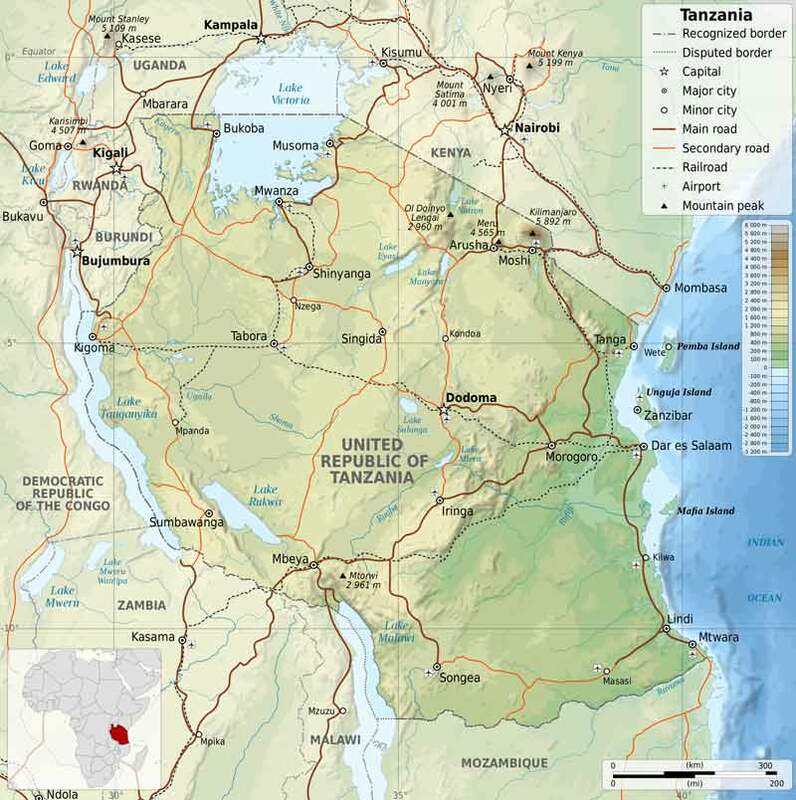 Politically, there are 26 regions in Tanzania which are subdivided into 98 districts. The largest city is Dar es Salaam, located on the Indian Ocean Coast. Tanzania’s capital is Dodoma located in the central region of the country. Project Zawadi’s base of operations, Nyamuswa, is located in the Bunda District of the Mara Region in northwestern Tanzania. The Nyamuswa area is geographically isolated from the rest of Tanzania, bounded by Lake Victoria to the north and west and the great plains of the Serengeti to the south and east. Butiama, the birthplace of Tanzania’s first president Julius Nyerere, is also found in this area. Nyamuswa (population 16,500) is surrounded by approximately 30 smaller villages..
Project Zawadi students typically live in one of these small rural villages. The main tribe in the area are the Ikizu, but there are several others represented as well. Most students speak Ikizu or another local tribal language in addition to Swahili. English is much less common. Agriculture is the major occupation in the area and virtually all of the students’ families are small farmers or small business owners. Common crops include cotton, cassava, corn, and beans. Most households also have livestock like chickens, goats, or sometimes cows. Everyone helps with household chores including help with the farming, animals, sibling care, cooking, cleaning, gathering firewood, and fetching water. Many houses are made of mud and sticks and may have a thatch or metal roof. A typical house would consist of a sitting room/bedroom, kitchen, and storage room. Much of the day is spent working outside. All members of the family typically sleep in the same room, often on blankets or thin foam mattresses which are folded up and removed each day to make room for daily activities. Bathrooms are usually pit latrines located away from the living area and also where bathing takes place. Electricity and running water are not widely available outside of the center of town. The most common food is ugali, which is made by mixing corn, cassava, or millet flour into boiling water until it forms a thick dough. Ugali is often eaten with beans or greens, meat or fish. Rice is also common, though more expensive. Eating is commonly done by hand from a common bowl. Project Zawadi also maintains an administrative office in Arusha. 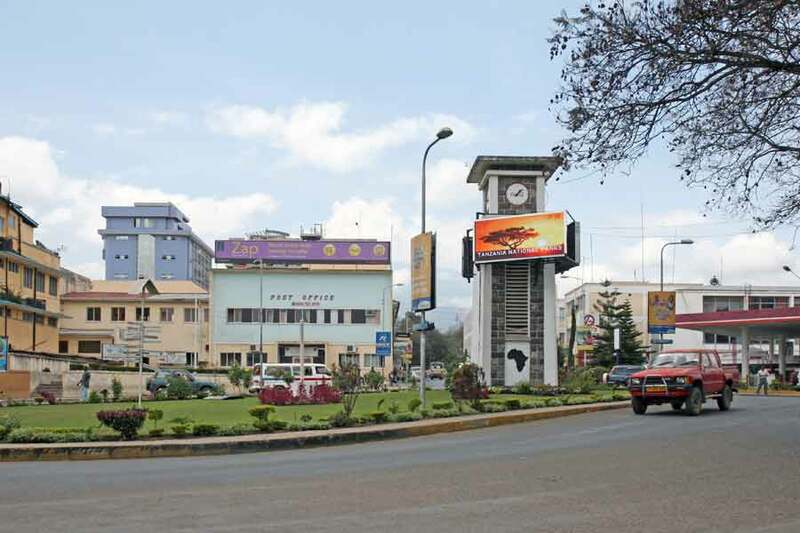 Arusha, located in the north central area of Tanzania at the foot of Mount Meru, is a major transport and communications hub and center for tourism and commerce. Secondary and higher level students are often placed at schools in communities far from Nyamuswa. The Arusha office is able to better facilitate the logistical and support needs for students in these higher levels and coordinate with partner organizations.